Unlike Windows 10, no built-in screen recording tool is developed for you to directly use on Windows 8. But, in fact, there are many times when we have to apply recording function to different aspects, such as creating tutorial, capturing gameplay, grabbing streaming music, keeping Skype call, etc. In this case, not only Darien, but also most of you are in desperate need of one qualified yet easy-to-operate Windows 8 recorder to record Windows 8 screen with both videos and audios captured for later enjoyment. 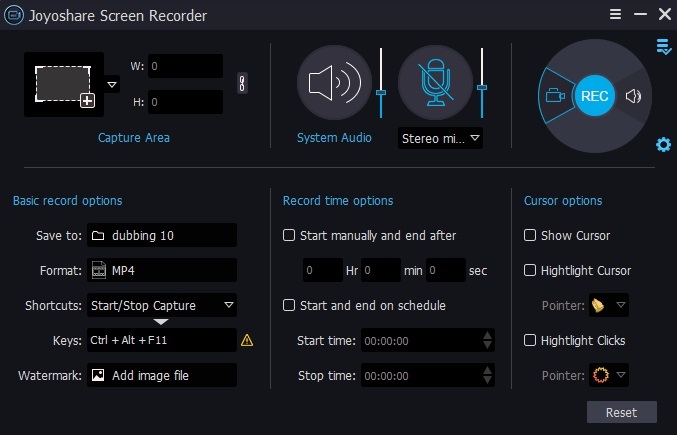 Specialized in recording any ongoing video and audio desktop activity on computer, Joyoshare Screen Recorder is indeed an ideal tool to record screen Windows 8 with audio. It is devoted itself to capturing all possible desktop doings in high quality, including live chats, class lectures, YouTube audios, streaming movies, online radios, system audio, microphone sound, webcam videos, Google Hangouts, Yahoo messengers, etc. What is mentionable is that this amazing tool is well arranged with attractive recording features and built-in editing functions. You can decide specific capturing area, enable system audio/microphone sound, switch recording mode, customize output format and so forth. Best of all, it is available to spotlight click or cursor movements, skip unwanted contents, trim finished recordings, add ID3 tag info, personalize watermark, make recording tasks, etc. in the way you like. Joyoshare Screen Recorder is downloadable on both Windows and Mac. Next we will take its Windows version as an example to teach you at every step on how to recording Windows 8 screen activity. Go direct to Joyoshare download page to download and install Joyoshare Screen Recorder on your Windows 8. Soon after, it will be automatically launched. Or you can simply run it if there is already one on your computer. Initially, the recording mode, video or audio, should be chosen near to the red "REC" button. Then it is necessary to set up capturing area at your own will. You can get it done by simply taping on the "+" icon upper left corner, after which a pop-up window will be shown to let you adjust. Or you can click on the drop-down list to select one systematic ratio. Moreover, Joyoshare also gives you access to set width and height based on your needs. Before capturing your Windows 8 screen activity, you are supposed to set up all options. Explicitly, figure out whether to grab microphone sound or system audio at the same time. Afterwards, press the "gear" icon at the right bottom to add image watermark, choose shortcut, select output format, or change parameters if you are professional enough. 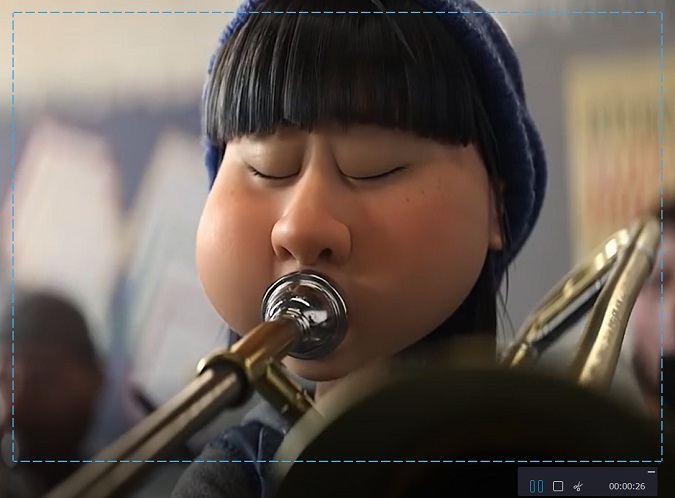 Meanwhile, effects can be added to click or cursor movements. Having finished confirming all recording options, you can now go straight to click the red "REC" button to start to record desired desktop screen on Windows 8. 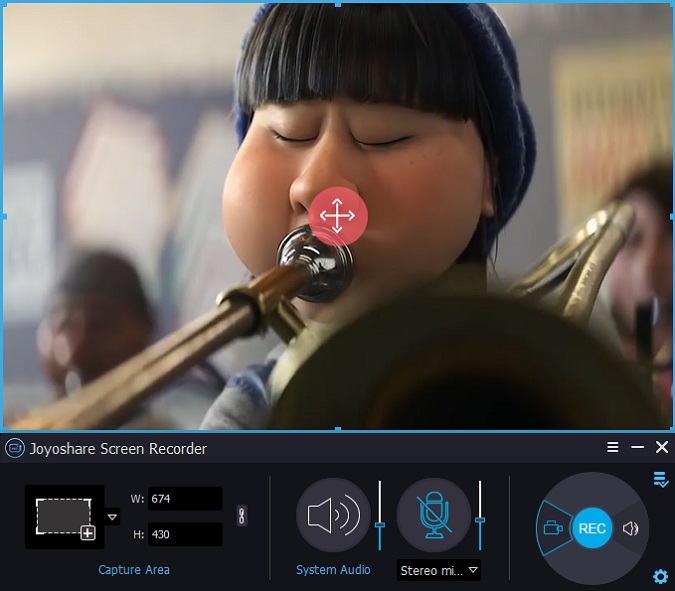 During the recording process, you can hit "Pause" button to skip any useless contents, take snapshots with previous selected shortcut and cut recording file with "cut" button. 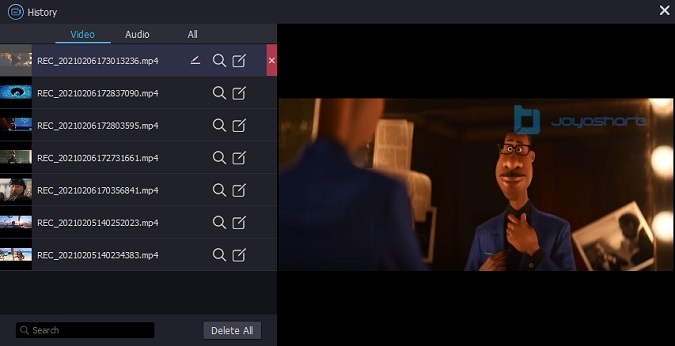 To make your destination files more unique, you are allowed to edit them with a compact "edit" option. No matter what target file is, video or audio, trim feature can be applied without problem. Plus, ID3 tag info can be added as well for better and convenience management. Besides, the preview window can facilitate you to see all recordings in advance. See More: To record screen Windows 8 free, you can also learn some free screen recorder software here.